The Family who works out together… Every family has different strategies when it comes to staying fit. Exercise is a great opportunity to relieve stress, build muscle AND bond with your family. For better or worse, children often mimic their parents’ behaviors. 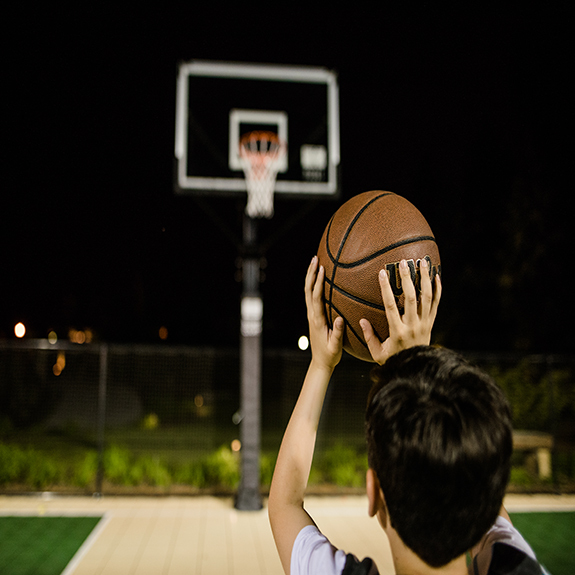 Contact us for a FREE Court Estimate One of the most frequent questions we receive during a first time call in to our office is "What is the cost to build a backyard basketball or tennis court in my backyard?" As with any major construction project at your home, the cost to build a backyard Sport Court will vary and depends on many different factors. One of the most obvious factors is SIZE - the larger the size of the court, the more expensive the project. There are many factors involved in determining the cost of building a home game court with the actual "court" being just one of them. Do you want to get the whole family involved with the excitement of March Madness?? Here's a fun activity to get started! Remember when you were young and all your friends would come over and play ball in your yard or driveway? Whether it was an organized game or just a “pick up” game, it is how so many of us grew up with friends and neighbors gathering to play sports. We seem to have gotten away from that lifestyle and rely heavily on structured and scheduled sports for ourselves and our children. That is where Sport Court Massachusetts comes in. 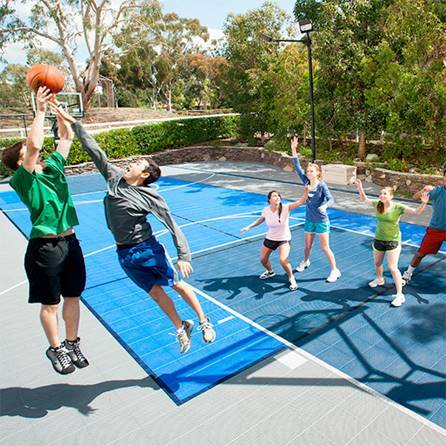 Having a Sport Court installed in your backyard creates the opportunity to get regular exercise and socialize with friends and family at the same time. Playing sports is more than just fun. It’s good for the mind and the body! Physically, sports help strengthen our bodies and promote good overall health. 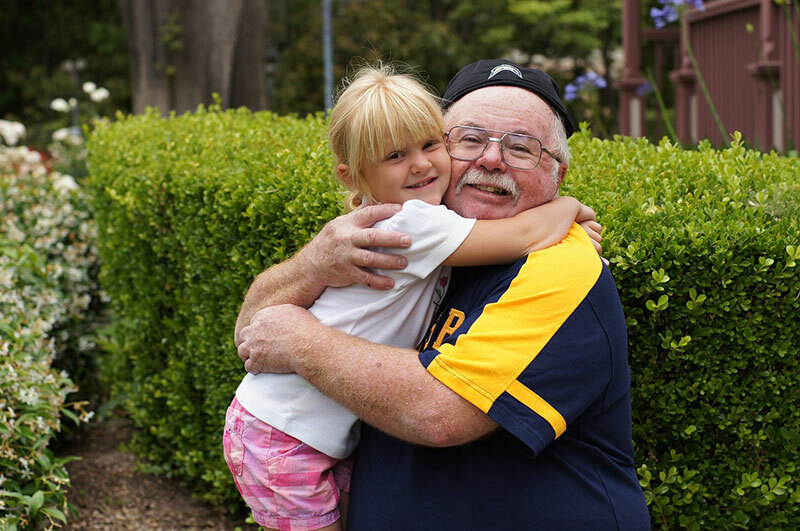 Here at Sport Court Massachusetts, we love seeing families enjoy our backyard courts, but we equally love the health benefits that it brings to families as they make exercise a part of their daily lives. Best wishes from Sport Court of MA for a healthy and active 2016! If you're thinking of a backyard court this year, call us today! 978-474-4029 We are scheduling Spring installations - Spring is right around the corner! http://www. sportcourtma. com/contact? .